The U.S. apparently has become a steeplechase power in Olympic competition. Evan Jager of Algonquin, Ill., won a silver medal in the men’s 3,000-meter steeplechase Wednesday, finishing behind the Olympic-record time of 8:03.29 run by Conseslus Kiproto of Kenya. Jager’s time of 8:04.28 was a season-best. Earlier this week, Emma Coburn won a bronze medal in the women’s steeplechase, a first for American women. Ezekiel Kemboi, the 2004 and 2012 Olympic champion, was third in 8:08. 47. That extended the Kenyan men's gold-medal streak in this event to nine in a row, starting in 1984. 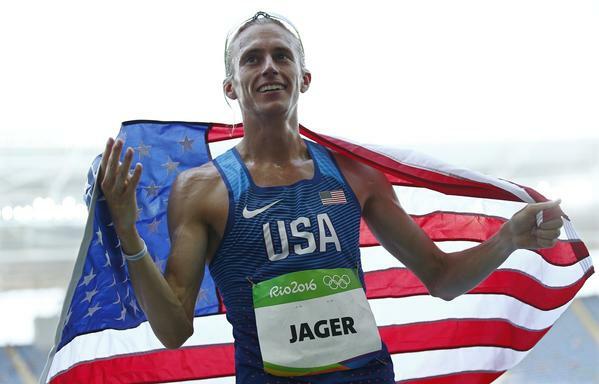 Jager's medal was the first by an American man since Brian Diemer won bronze in 1984, and it also was faster than the previous Olympic record of 8:05.51 set at the 1988 Seoul Games by Julius Kariuki of Kenya.